Get a load of these big boys. 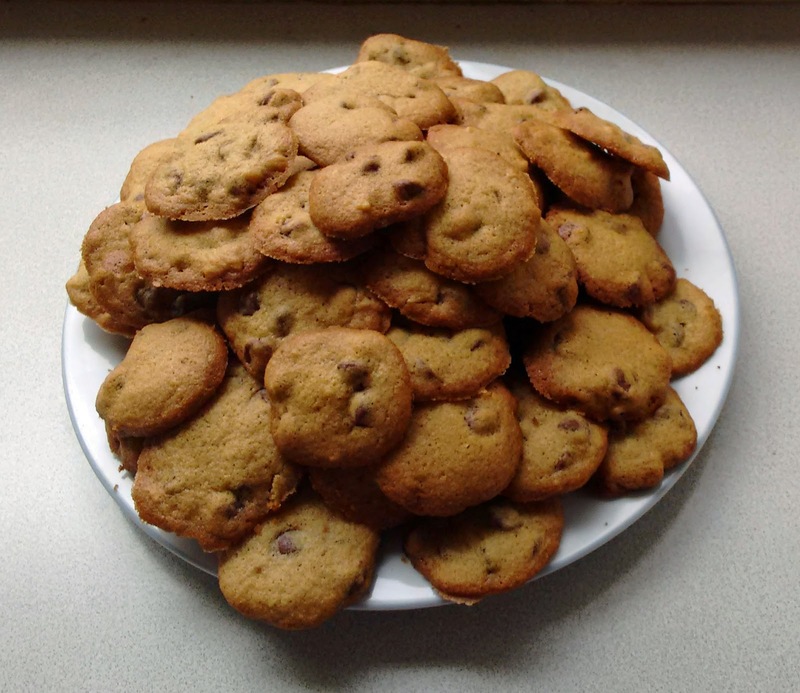 Yes, the real thing, authentic Chocolate Chip Cookies. Cannot even remember when I made them last. So long, I had to follow the recipe on the back of the package. Oh yes, it all sounded real familiar "It's all coming back to me now!" I sang. Many many reasons that an individual should not make these puppies. But they sure taste good. I'm making them for a bake sale at an event I'm going to this evening. Better pack them up before I eat more of them. I had to institute a baking embargo when Naomi is around. She loves to bake. And then I love to eat what she makes. You can see the problem.